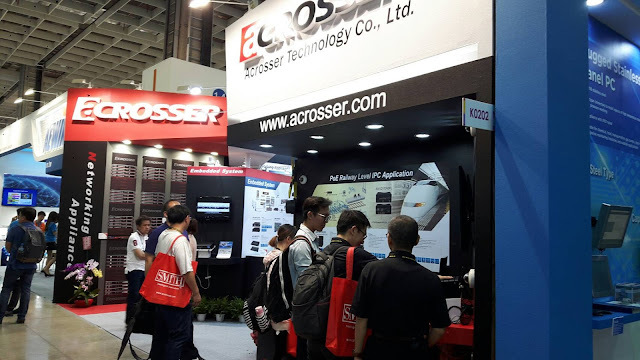 Acrosser Technology is sincerely inviting everyone to come and see our exhibit in the upcoming 2017 COMPUTEX Trade Show in Taipei on May 30th to June 2nd, daily from 9:30am to 6pm, and June 3rd from 9:30am to 4:00pm. This year, we are particularly excited in presenting you our innovative IPC creations such as Dual –Production ANR-C236N1 Networking Appliance and PoE railyway level computer. From our demonstrations, be prepared to be impressed by our current competitive product offerings, technologically-advanced products in development, as well as learn how we can help and assist in improving your business and profits using Acrosser products. Likewise, we had put tremendous efforts in designing the show areas, where you can enjoy our best exhibition ever, and have the convenience of interacting with our sales representatives on hand at any time during the show.